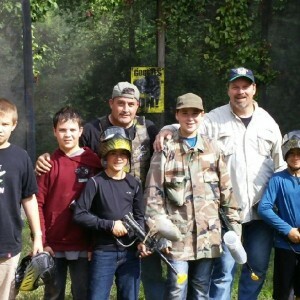 Survival Game of Texas Paintball Park reaches 31st Anniversary! Survival Game of Texas has attracted players from all over the world. Regular customers, numbering over 300 per day on any given weekend, keep coming back for the fantastic scenario fields and customer service. The Cedillos have really made this a family affair. Their sons, Larry and Chris, also help run the operation. It takes major coordination to keep the games rolling. With all the fun and games, The Cedillos take the sport very seriously. It’s important that everyone is safe and has maximum fun, so they have certified referees for each group of players. The refs enforce the rules, of course, but they also help out like a good golf caddy. The future of all paintball fields will depend on their loyal regular customers. If the Cedillos continue to do everything that has made them successful so far, they’ll be around for another 31 years…and then some. 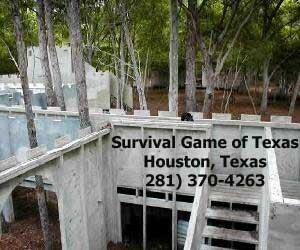 People wanting to try Survival Game of Texas Paintball are encouraged to purchase the $5 promotional tickets online. We give you all the gear and four hours to have a blast. Just buy your paint & air when you get there. This entry was posted in Family Fun and tagged discount paintball tickets, family fun, Houston paintball, paintball fields, Texas paintball. Bookmark the permalink.